Spirals down from upper tier. Barcelona’s 5-0 defeat of Real Murcia in the Copa del Rey on Wednesday night left fans at a half-empty Nou Camp finding ways to amuse themselves as the inevitable conclusion drew to a close. The result of the round of 32 2nd-leg tie added to an eventual 8-0 aggregate score. 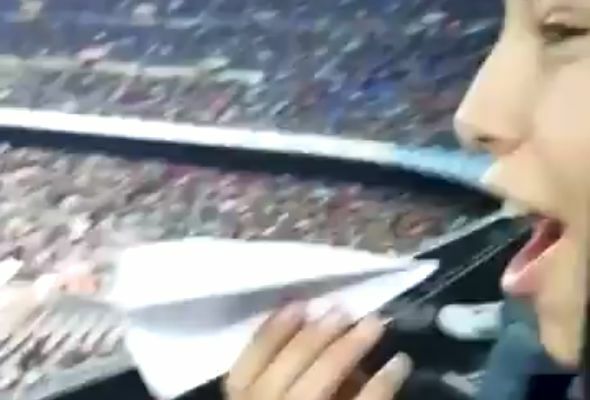 One supporter acting irresponsibly had his throw of a paper aeroplane filmed and the camera watches as it spirals down from the upper tier, before flying into an unaware fellow fan’s face. Several replies to the video posted on Twitter were concerned that it could have caused a serious eye injury.